This high fashion cuff is hand cut and completely hand made! 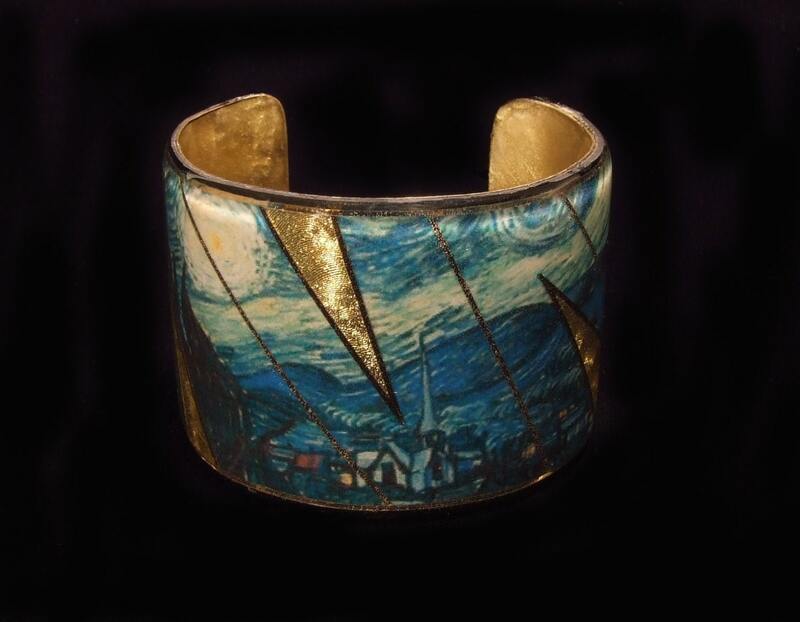 Featuring the famous work Starry Night, painted by Vincent Van Gogh in 1889, this cuff is a must-have for any art lover's wardrobe! This cuff adds a modern twist to the vintage, classic look of art history painting! Also great as a gift for any occasion!